This suite strikes the perfect balance between subtlety and drama. 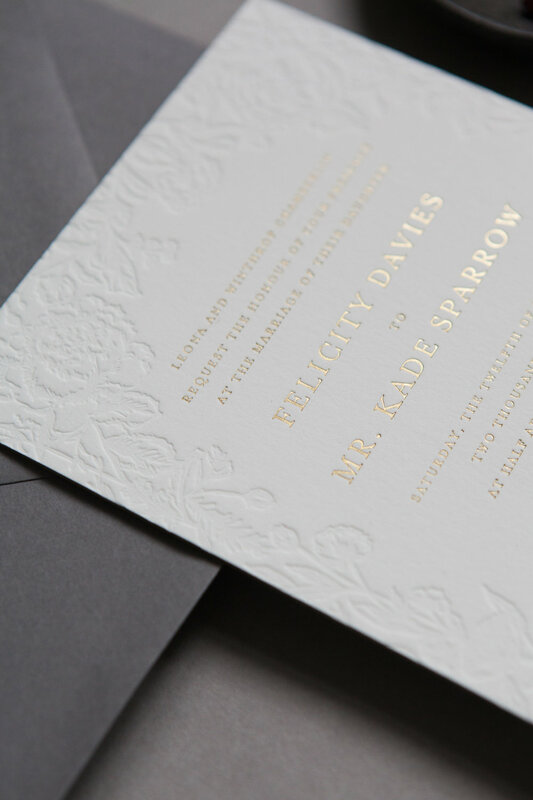 A bold crest framing the monogram and gold foil throughout, create a regal feel. 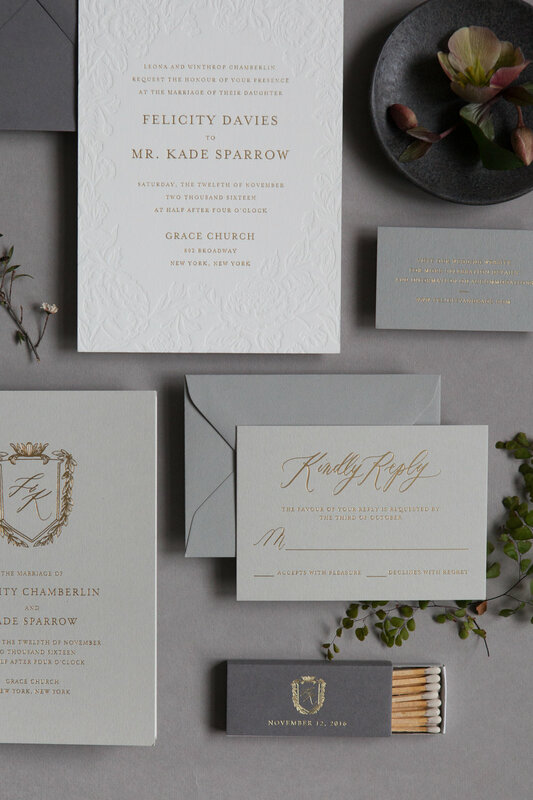 While subtle different shades of grey soften the palette. 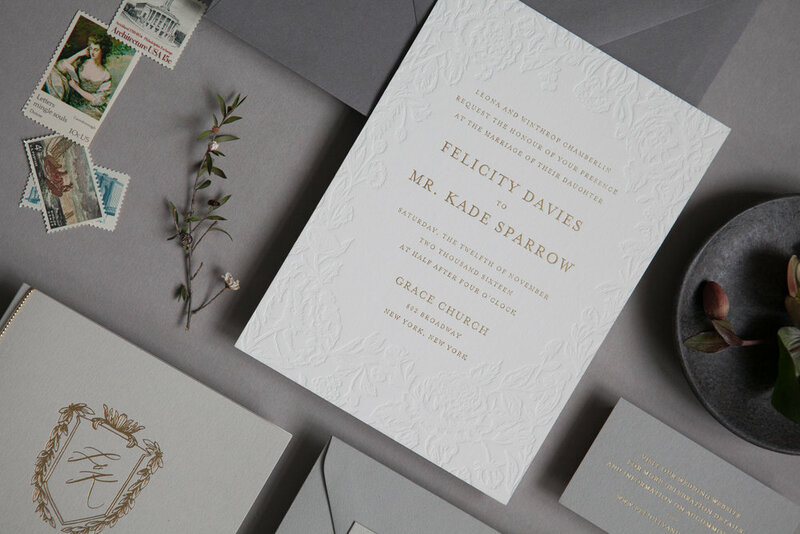 And, our favourite touch, a blind embossed floral frame on the main invite, adds a delicacy and femininity to the more dramatic elements. 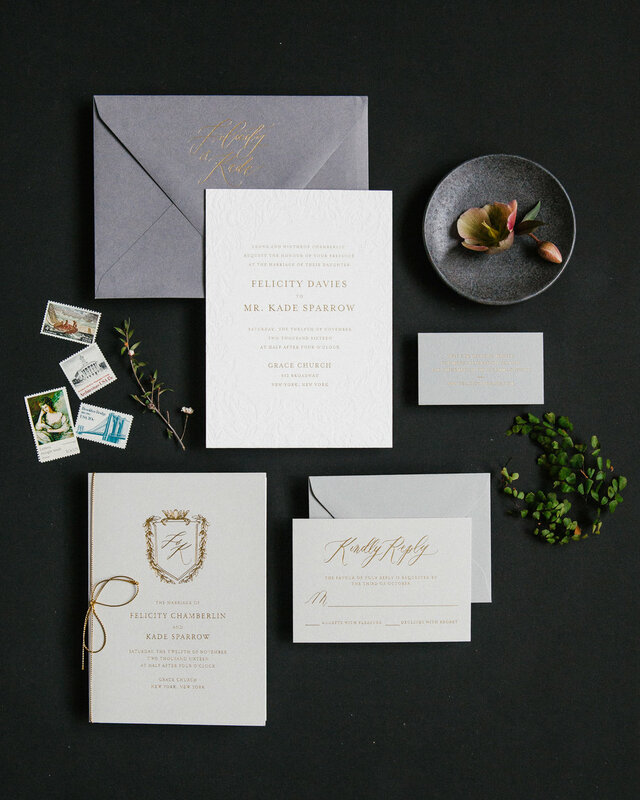 A business card sized info card plays on the sense of scale in the suite, while the crested programs and matchbox favours carry the look into the ceremony and reception with a touch of whimsy.